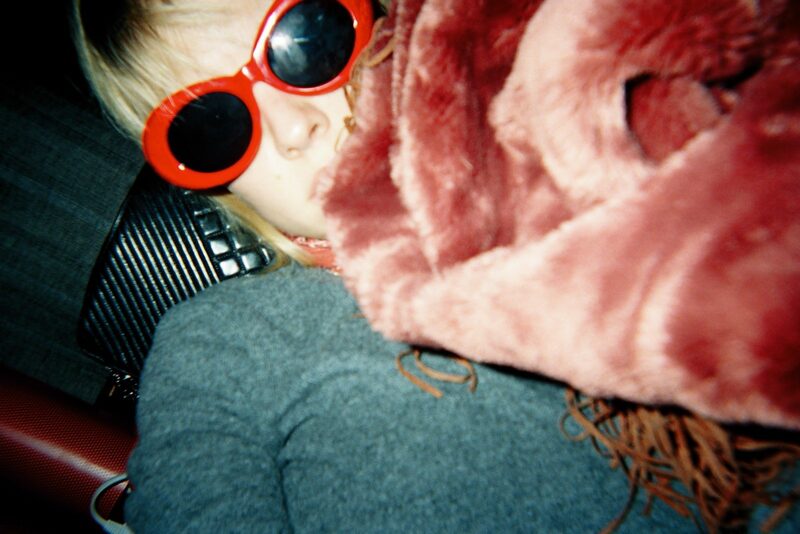 “Being drunk in space is probably the best place to be right now.” Say Anteros, and to be fair, they have a point. Albeit we know very little about space, but the discovery that human life may be able to be sustained on different planets is one that has a thrilling appeal. Having recently released their new EP, Drunk, the four piece may be intoxicating but they have the artistic clarity of a shot glass. 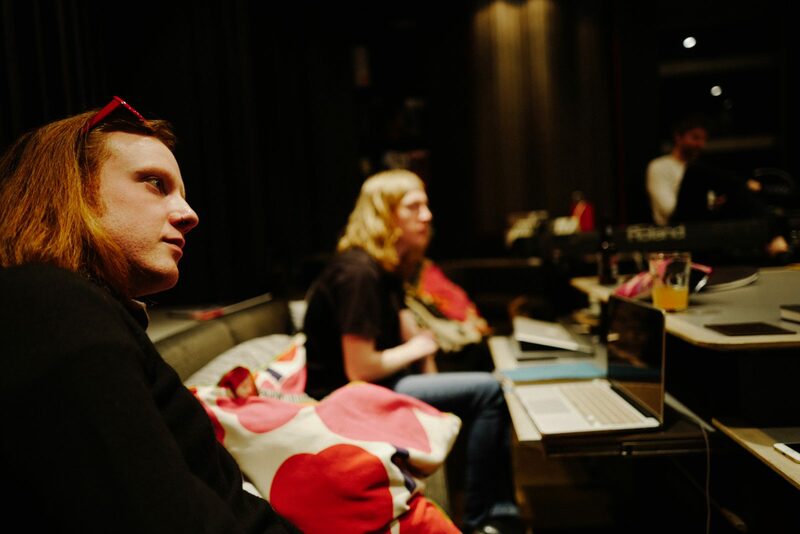 We got to take a peek inside the studio, with images taken by Alex Trimble of Two Door Cinema Club. Explaining, “It’s hard not to be saddened or to feel defeated, especially when you think of the current state of the world, but it’s up to everybody to stick together and help people navigate each other out of it.” Anteros believe that music could really be the remedy to do so. 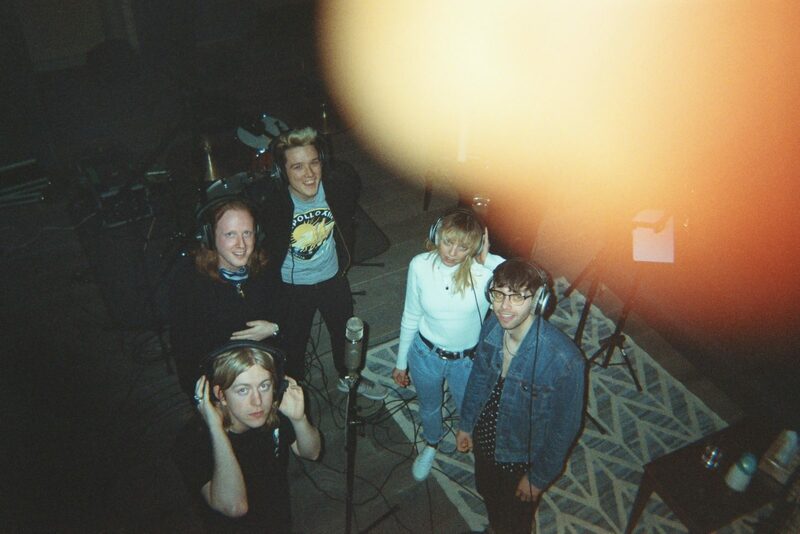 The process of making the EP itself seemed to allow some feelings of release for Anteros. 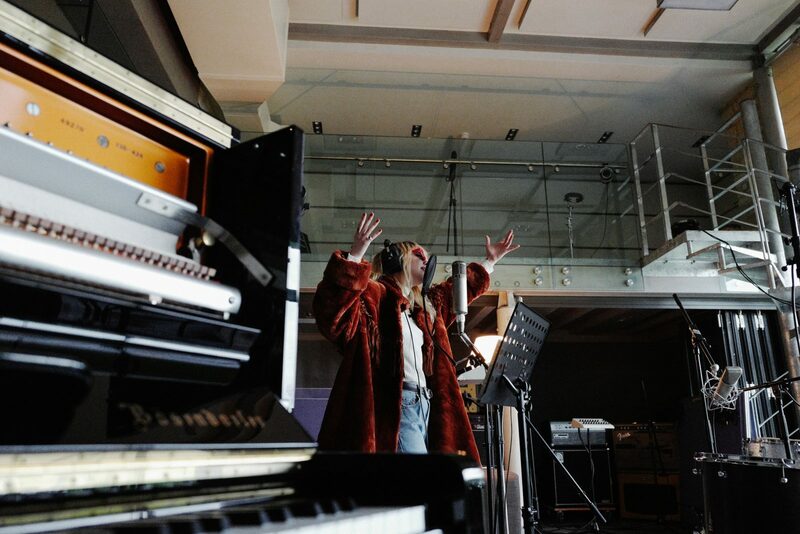 Recorded over five days at Distiller’s Bath studio with Nick Hodgson, the environment seemed therapeutic. 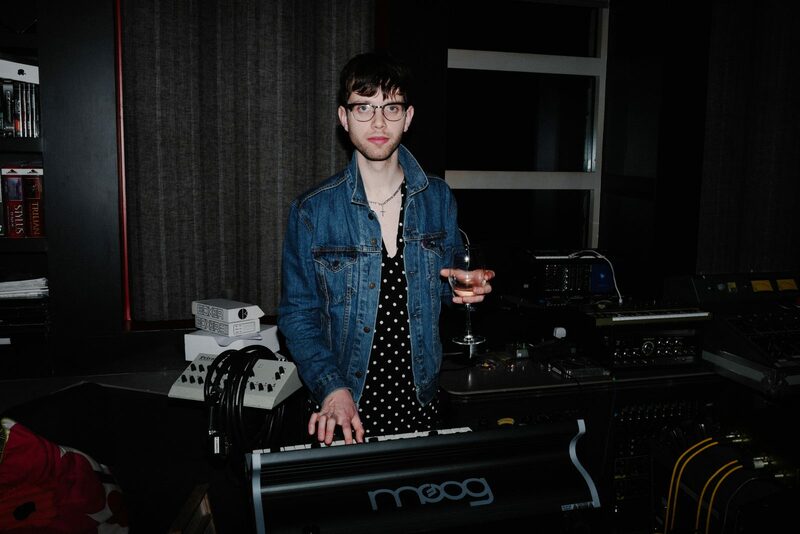 From the sweet spirit of ‘On The Moon’, to the rapid and glossy energy of ‘Cherry Drop’, to the slouchy glamour of the title track, Drunk is draped with grooves and lined with retro rock and roll. The EP wears dark sunglasses and kicks with rough, denim flares. They can switch from being in your face and rowdy to enchanting and gentle. 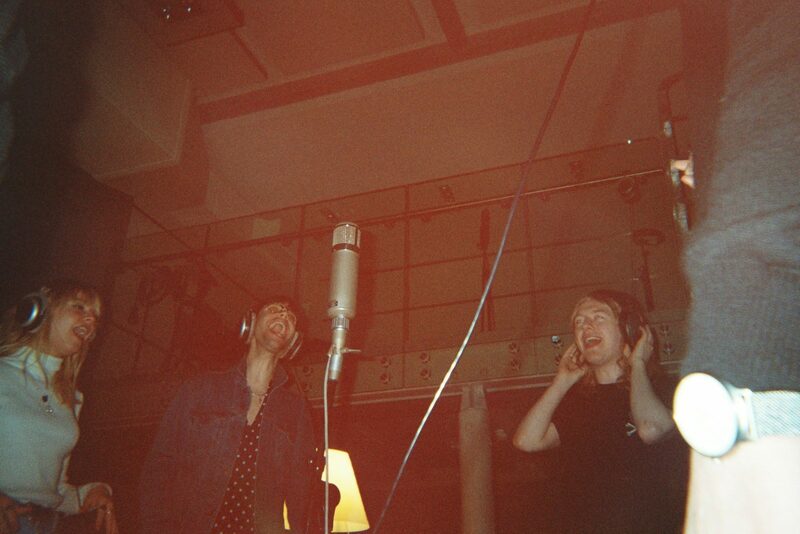 “We don’t want to try and write the same song over and over again either. We want to be honest. Their latest video for prowling single, ‘Cherry Drop’ captures the band’s relentless touring schedule, offering insight into their unorthodox every day. Shot by Phoebe Fox, it’s fast paced and exciting, there’s confetti and strewn beer glasses, dressing rooms made glitzy by the band’s presence. Drunk doesn’t fall flat on its face, or spew into any gutters. It may instead make you want to kiss strangers and declare your love, you might even dance the make-up off your face to it and allow the sweat to flatten your hair. 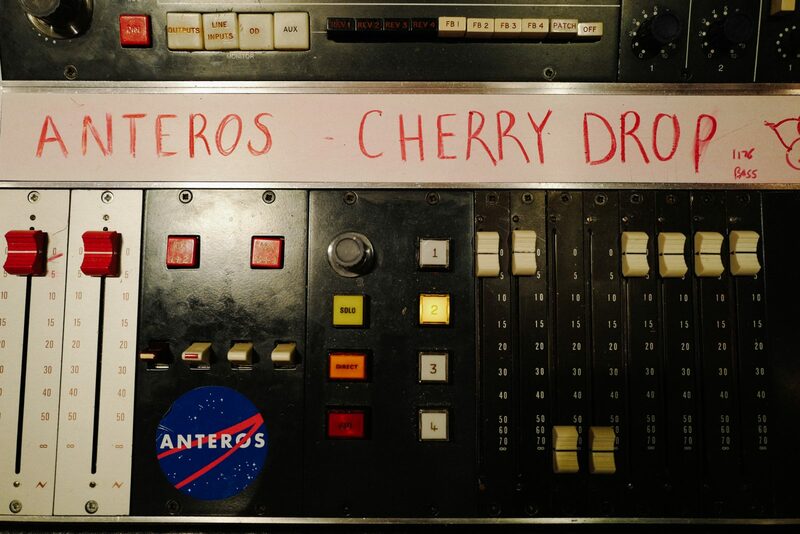 If Anteros were a cocktail it’d be made of “red wine, apple, honey, soda and a dash of lemon” and served “in a glitter rimmed glass”, and with that, we’ll take two.